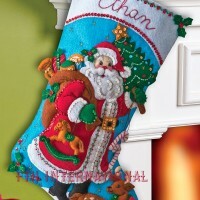 For those who are fans of the 12 Days of Christmas this stocking kit featuring 2 turtle doves would be a perfect addition to your collection of items depicting various characters from the song. 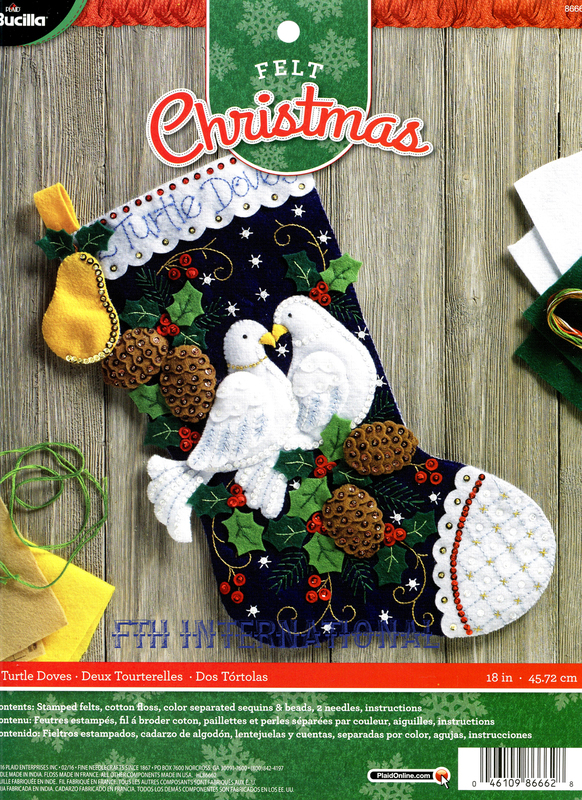 The 2 Turtle Doves appear to be perched on a pine bough covered in festive pine cones and holly sprigs. 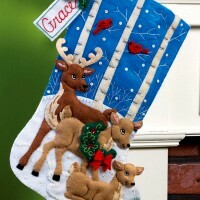 The dark blue background is perfect for enhancing the doves and the rest of the colours on the stocking. 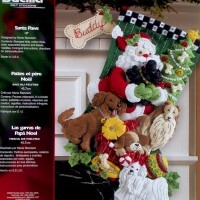 There is even a Pear hanging from the top corner that can be used to add the name of the lucky person who will be the proud new owner of this stocking when it is finished.